'Nobody at the company would actually tell the public what the hell is going on,' says a Nunavut hotel owner, waiting for $20,000 worth of goods. 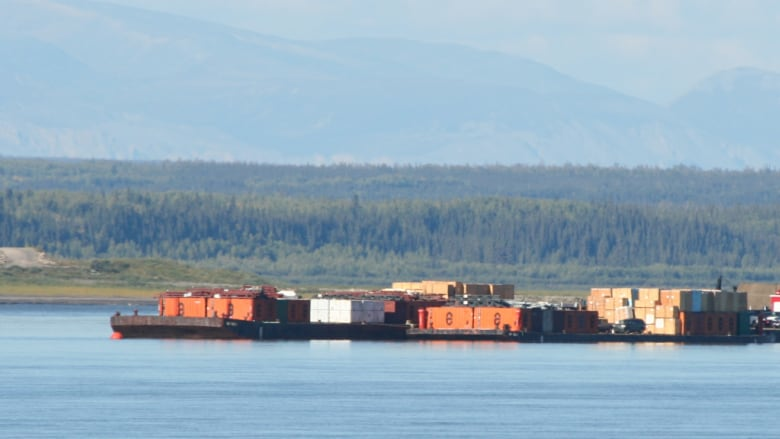 The Northwest Territories government has cancelled barge service for a number of remote Northern communities, leaving residents and municipalities waiting for supplies — and with few answers. The Nunavut communities of Kugluktuk and Cambridge Bay and the Northwest Territories community of Paulatuk are affected by the cancellation. The N.W.T. department of infrastructure has listed barges to the three communities as cancelled on their website. Nunakput MLA Herb Nakimayak also confirmed the cancellations to CBC. Minister Wally Schumann was expected to meet Tuesday in Inuvik with local government officials to find alternate ways to get supplies from the barge to the communities, Nakimayak said. The Government of the Northwest Territories got into the shipping business when it bought the Northern Transportation Company Limited [NTCL] assets for $7.5 million in December 2016 after the company filed for bankruptcy protection after racking up about $140 million in debt. The deal included 82 barges, eight tugboats, a shipyard in Hay River, and a number of other vessels, buildings, and equipment. CBC has made repeated requests to the territorial government for comment. A government spokesperson told CBC on Monday that they were working on a news release. However, CBC has not received an official government response as of Tuesday afternoon. The cancelled barge was expected to come into Kugluktuk on Oct. 5. Kerry Horn, owner of Kugluktuk's Coppermine Inn, said he is waiting on $20,000 worth of supplies to run his inn for the next year. "It never crossed our mind for one minute," said Horn, who has owned the hotel since 1984. "Worst-case-scenario, is that our friends in the barge company would decide not to come." He's also frustrated Marine Transportation Service's [MTS] — the branch of the territorial government responsible for running the barge — communication with its clients has been non-existent. Horn said he repeatedly tried to call MTS but has not received a response. "Nobody at the company would actually tell the public what the hell is going on," said Horn. "They told the coast guard and I guess they told everybody else, but the people who are actually their clients haven't got a clue what's going on. We're all speculating… Do they throw the goods in the ocean? Do they put it in their warehouse for a year? How can we access it?" Horn said he doesn't have any way of responding to the situation as he has no idea what is happening with his goods. Paulatuk residents are also frustrated with the cancelled barge, according to Mayor Raymond Ruben. Ruben said many residents are frustrated because they have hunting supplies, like ATVs that are stuck on the barge, and are missing out on fishing and caribou hunting season. "The season's pretty much done for caribou," said Ruben. However Ruben said residents are not the only ones who are suffering because of the cancellation. The RCMP has a new pick-up truck on the barge, the community has equipment for a drainage project, and a four-plex in the development stages is without sewage tanks and construction material, all of which are left stranded. "Obviously, there's a problem with the system," said Ruben. "It's been an ongoing problem year after year, where the dates have been getting later and later." He said one of the first things people in the community questioned is the cost of this cancellation: "It's already expensive enough to go out and hunt… what is this going to do to it all?" 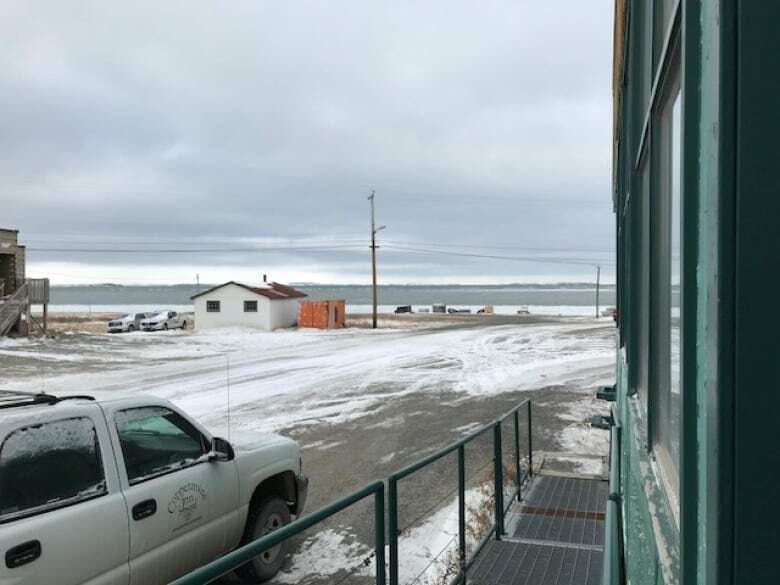 As some communities struggle with limited access to goods, the community government in Cambridge Bay is waiting on its supply of chlorine, according to senior administrative officer Marla Limousin. The community relies on chlorine to help disinfect its water supply. The community government also has a sewage truck, garbage truck, and three vehicles on the barge. Limousin said residents also have many cars on the barge filled with goods. She added people have goods like pop, which, if left to freeze, will explode inside residents' new vehicles. This is the second year the government's barge transportation service has run into problems. Last summer, the barge schedule changed three times and many communities received their shipments about four weeks after the expected arrival date. The territorial government said the delays were caused by high water levels and late fuel deliveries out of Edmonton. This story previously erroneously identified chlorine as chloride.